Up your casual game with this maroon skater dress that's perfect for a Saturday night out. 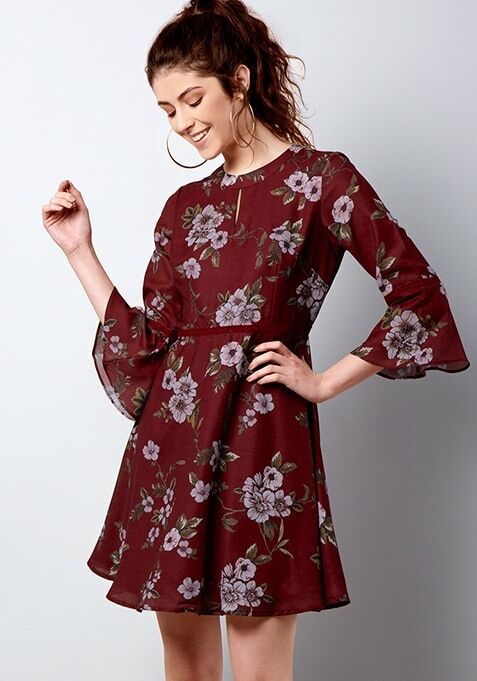 Featuring floral print, this dress has a high neck and three quarter bell sleeves. Work It: Look cute like a doll by teaming this dress with simple wedges and a mini bag.